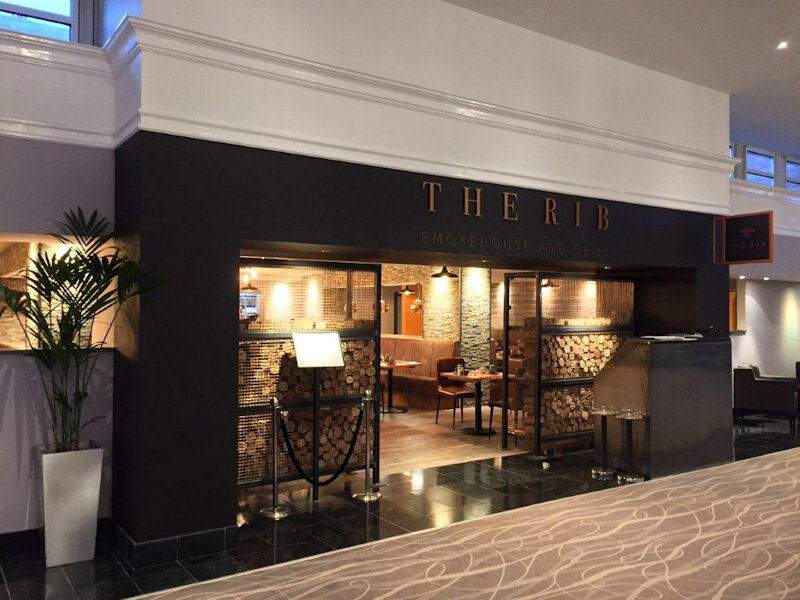 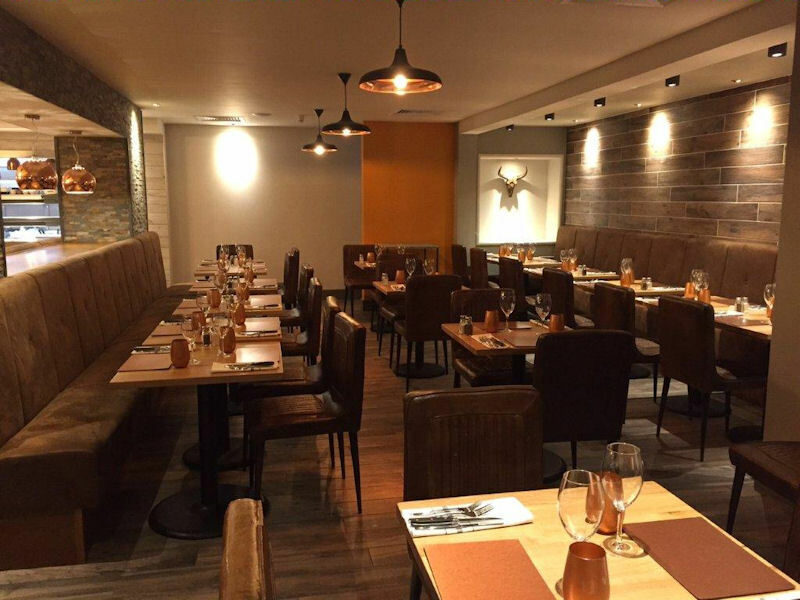 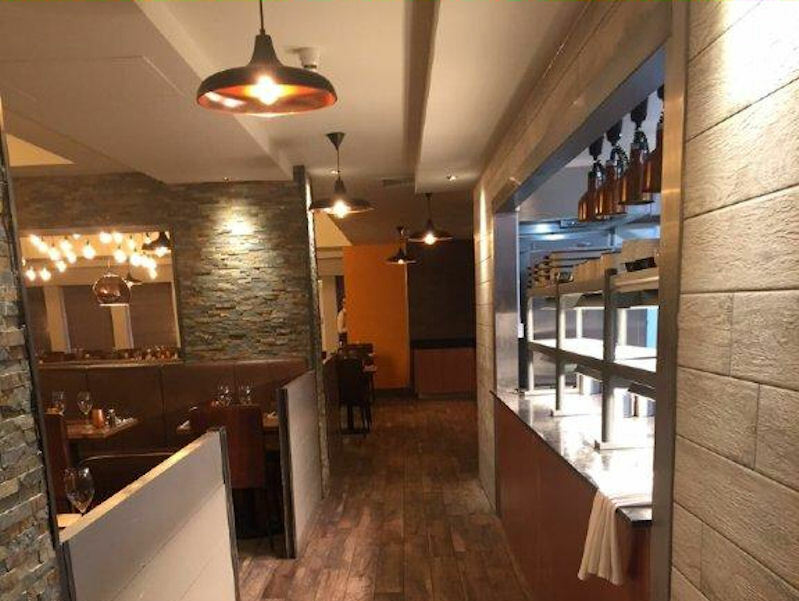 For floor tiling and wall cladding the dining area of the steak house "The Rib" the internal design studio of Celtic Manor has selected the following Rondine series: Soft 15x100 and Metallika 30.5x60.5 in non rectified version. 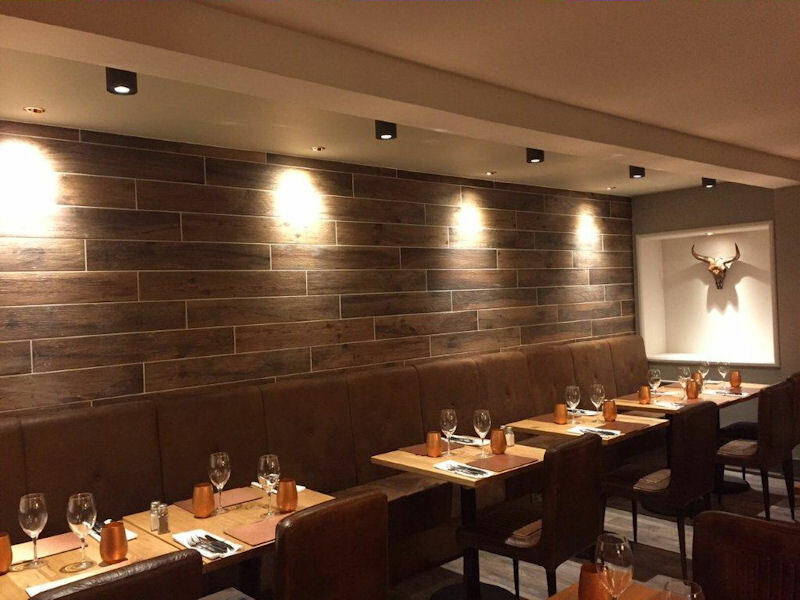 Soft 15x100 series selected in Greige colour and 15x100 format has been the perfect design solution for the dining lounge floor, Soft Nut 15x100 for tiling the niches on the walls in the same dining area and last but not least Soft White in 15x100 format for the kitchen wall facade that frames all around the serving bench of the "see through"cooking area in the kitchen. 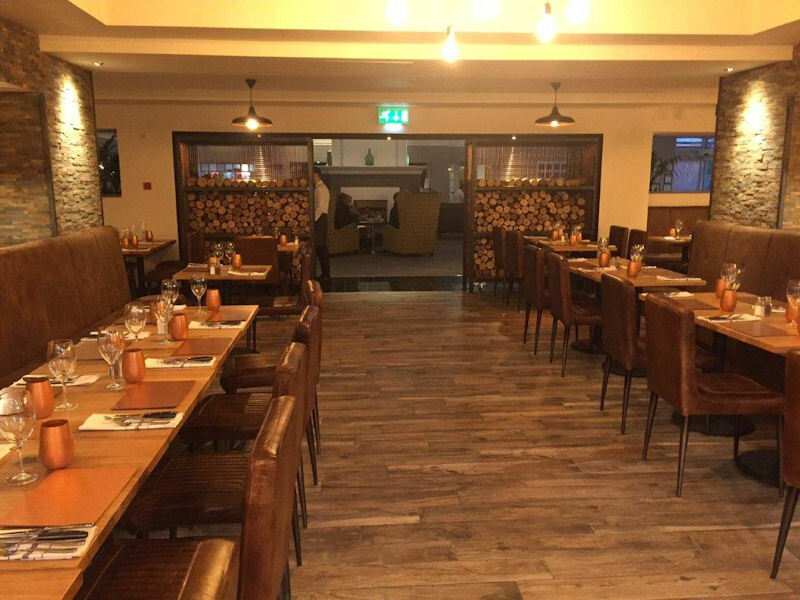 For the buffet breakfast area in the same lounge the designers of in house Studio at Celtic Manor have instead selected the exclusivity and contemporary flair of Rondine oxidized metal effect of Metallika series in copper colour in 30.5x60.5 format in non rectified version in order to provide a unique "touch" to the atmosphere of the place.